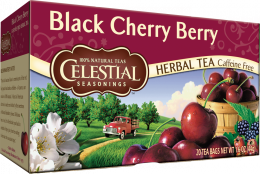 Herbal tea is made from many plants, using not just the leaves, but also the flowers, roots, bark and seeds. 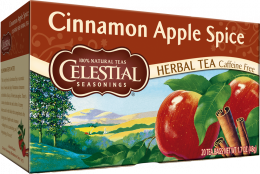 At Celestial Seasonings, our herbal tea recipes blend the flavors of different botanicals from around the world - resulting in an infinite variety of healthful taste sensations. 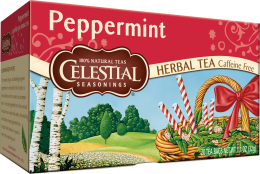 In fact, this exploration of the many flavors, remedies and benefits of herbal teas is one of the greatest pleasures of working with herbs - there's an herbal tea that’s just right for every mood and every moment. 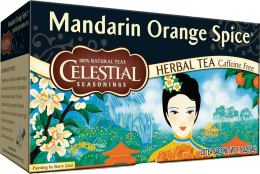 Of course, our herbal teas naturally contain no caffeine at all, which accounts in part for their mellow, soothing personality - and their growing popularity in today’s hectic, high-pressure world. 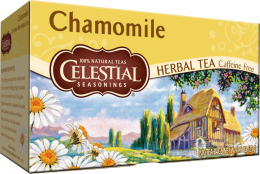 Our delicious herbal teas - including Sleepytime®, our most beloved blend - provide a soothing blend of herbal ingredients that help relax all of your senses. 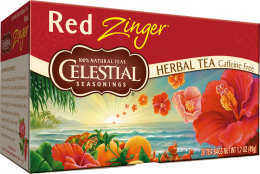 Many of our best herbal teas are delicious hot as well as iced - including Black Cherry Berry, Country Peach Passion®, and each Zinger® herbal tea. 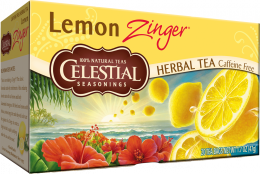 This versatility ensures that you can make herbal tea year round.